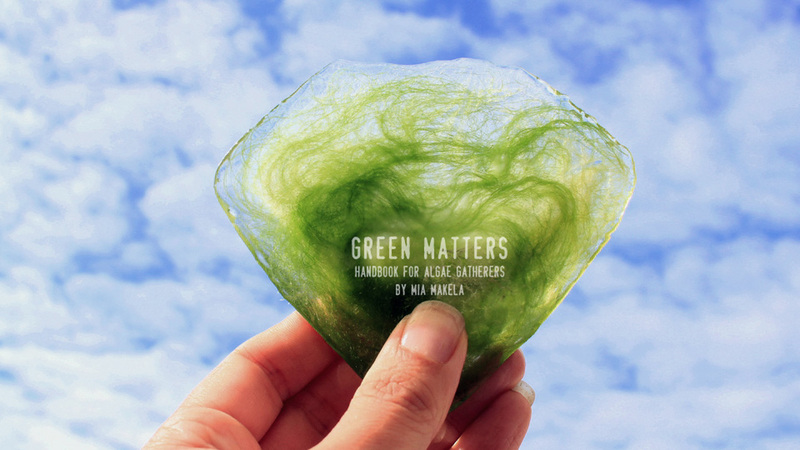 The title Green Matters refers to filamentous green algae which is growing excessively in the Baltic Sea. Green Matters approaches eutrophication from a new perspective. Considering the enormous importance green algae had in the evolution of flora and fauna, its importance as an essential source of oxygen, and its energetic and nutritional values, it truly deserves our respect. Moreover, we can be fascinated by its beauty, when observed in its underwater surroundings. Mia Mäkelä studied green algae and their possible use applying traditional rug-making techniques. Her project aims to help the eutrophicated Baltic Sea by foraging algae and putting them to good use. The video manual shows how to work with algae step by step. Mia Mäkelä (FI) works with audiovisual performance, documentary and development projects. She graduated from Tampere School of Arts and Communications in 1996 and from the University of Art and Design Helsinki in 2006. Mäkelä is internationally acclaimed for her trajectory in the field of live cinema.